Neuger Communications Group announced that it has acquired Henry Schafer Partners in a deal that significantly enhances the media relations and social media expertise of the Northfield-based integrated marketing and communications firm. The agreement also means a stronger presence in the Twin Cities market for the expanded firm. The company’s Twin Cities office will be located in the North Loop of downtown Minneapolis. Neuger Communications Group is the largest firm of its kind based in southern Minnesota. Now in its second decade of operations, the firm provides integrated services including strategic planning, communications audits, branding, web and app development, brochure creation, and traditional and social media services. As a regional firm with both local and national clients, Neuger Communications Group serves organizations in a wide range of industries including manufacturing, financial services, senior services, healthcare, heavy equipment and agriculture, and nonprofit organizations. Henry Schafer Partners has built a 10-year track record of excellence in serving clients with an array of communications services, butwith a particular emphasis in public relations. The acquisition brings with it the brands PR for Good and Fieldstone Research, organizations founded by Joanne Henry,Henry Schafer president. 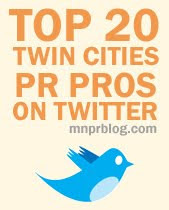 PR for Good has a strong presence in the nonprofitfield. Fieldstone Research will broaden the firm’s capabilities at both ends of the communications continuum with pre-campaign market studies on one end of the spectrum and campaign evaluations and assessments at the other.